Weak Maggie skill bound to Glenn? Both are useless, is there somethin get workin??? Why would you farm XP on a booster? Reckon you’ll get more xp with gov in lead and getting more done quicker than wasting time on each map... I could be wrong.. 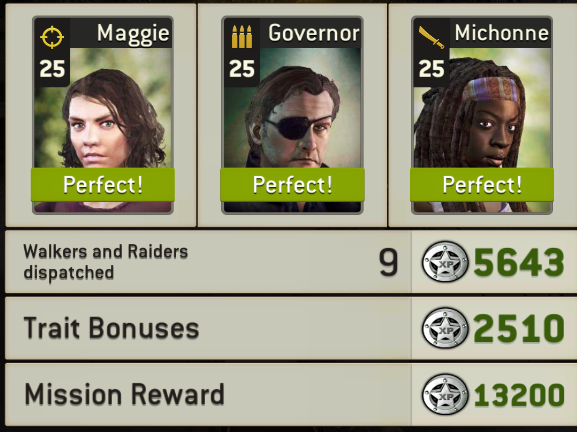 I prefer to use Maggie/Glenn in lead because their trait is guaranteed. The Gov's trait obviously doesn't work for crates where you get components, gear, radios or gold. I find I get more consistent returns from using the Rhee's with training gear but we all have our preferences. Gov needs a boost if anyone. Maggie in lead with all 3 teammates having the XP boost on armor gives huge XP. Much more than Governor. 1, when maggie isn't in lead you can use maggie to kill. Then you can use governor and still get the xp from kills. 2, when on a booster. You don't kill many walkers. Probably about 9 per mission. The faster you finish the mission, the more completion bonuses and crates you get. 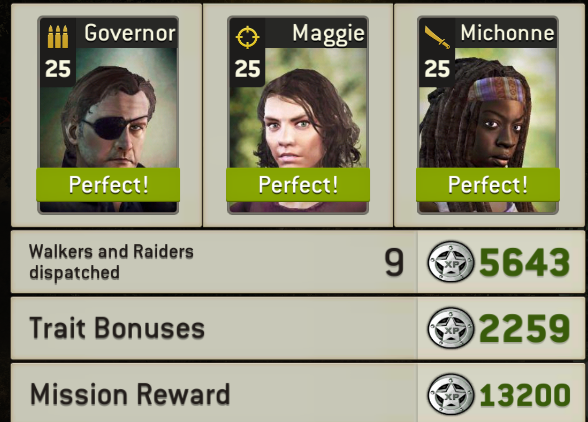 Governor is awesome for after mission crates. Maggie is redundant in that case. Just look at the picture below, governor crate boost will easily win.